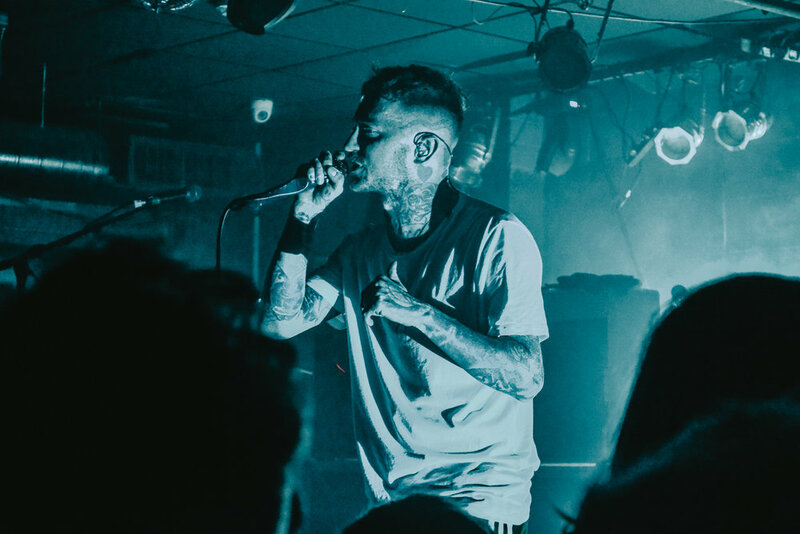 The room was stuffed with Rattlesnakes fans eager to see their favourite ginger frontman strut his stuff but alas any good show needs to have an equally good support band; Frank Carter is known for his exquisite choice of support bands, so no one was surprised when he announced Black Futures as the support for Oxford! 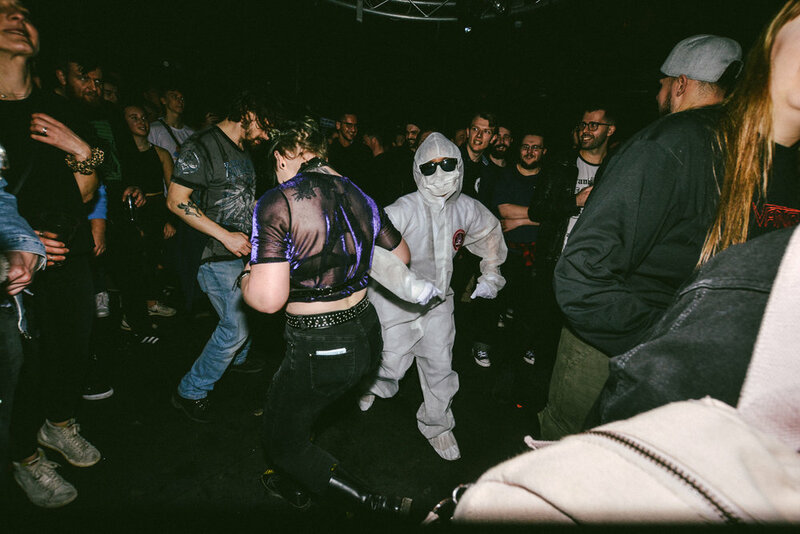 Silently walking on stage accompanied by a gang of hazmat suit wearing minions, the duo instantly turned up the heat in the tiny room! Big hits like ‘Karma Ya Dig! 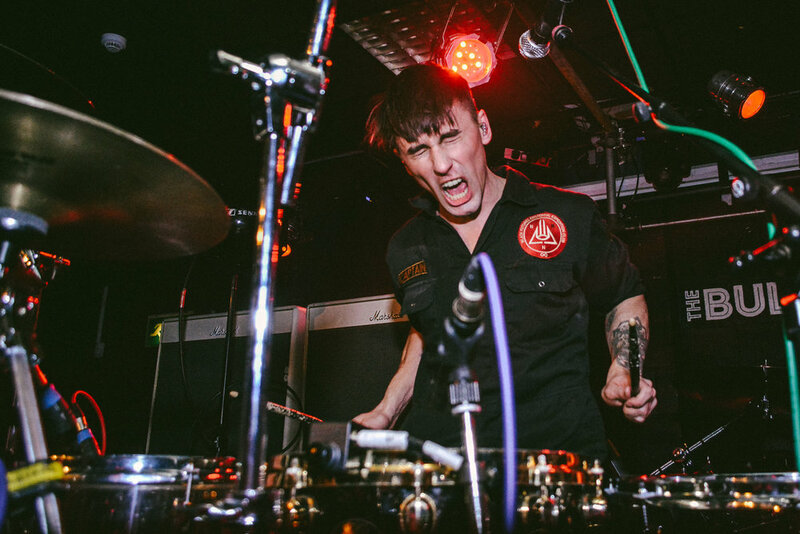 ?’ and ‘Love’ got the crowd moving, the heavy hitting drums mixed with the funkiest guitar riffs would have anyone tapping their toes and banging their head! Black Futures overall donning minions are there essentially to get the crowd hyped and they did just that during the bands final song ‘Trance’ by making their way into the audience and proceed to start moshpits left right and centre!!! A quick clear of the stage before the mayhem was meant to start and boy did it! 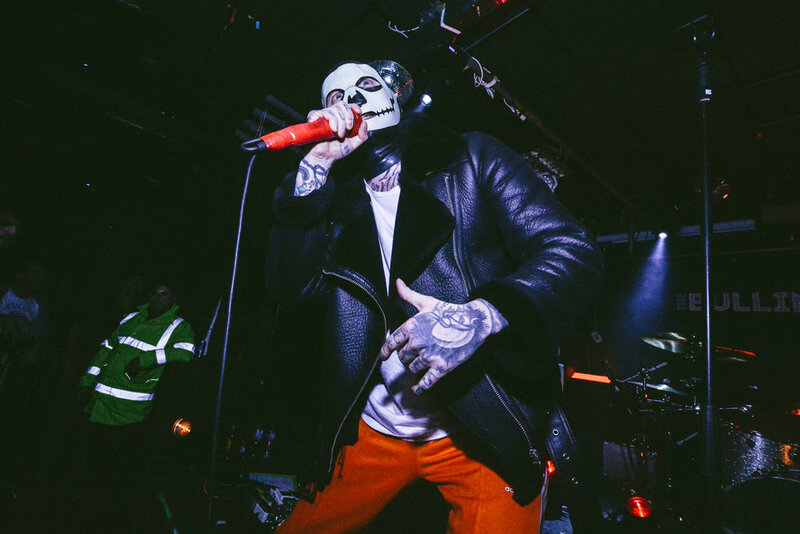 Frank and Co. strutted onstage like they had only been away a week instead of several months, the man himself donning a skull designed latex mask as they blasted into Wild Flowers which no one was disappointed with. Leaving no time to breath, the rattlesnakes pushed forward with ‘Juggernaut’ and new song ‘Tyrant Lizard King’ which had Frank end by hanging upside down from the rafters screaming his little heart out! 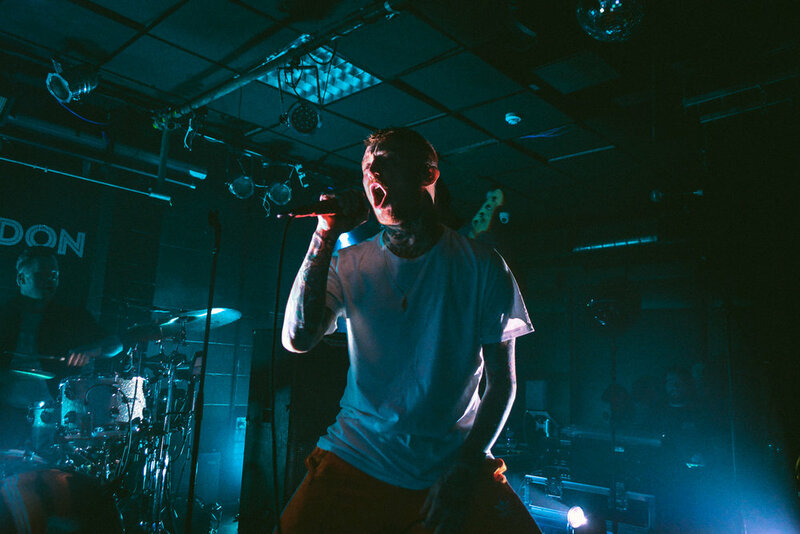 Next on the list was ‘Vampires’ and OG tune ‘Fangs’ which received a roar of approval from the crowd, shortly followed by the slower ‘Acid Veins’ and other new song ‘Anxiety’ which Frank explained was a song for anyone who has ever had that feeling of dread and terror! ‘Snake Eyes’ took Frank on a trip across the audience, where he proceeded to pour a drink and then continue with the show atop the bar, fan favourite ‘Lullaby’ had everyone singing along and then new single ‘Crowbar’ boomed out of the speakers and the room was thrown into a sea of chaos! A song that will always get a reaction is ‘Devil Inside Me’, it did just that, tens of people deciding to crowd surf to the front to get a high five from Frank. This is usually where they would play their last song but getting a tiny bit too excited Frank bullied the band into playing ‘Crowbar’ again, which did not have any bad reactions. Finally it comes to the time every Rattlesnakes fan waits for, ‘I Hate You’ is an amazing song to end the show with, band and audience coming together to scream their love/hate for each other in harmony! 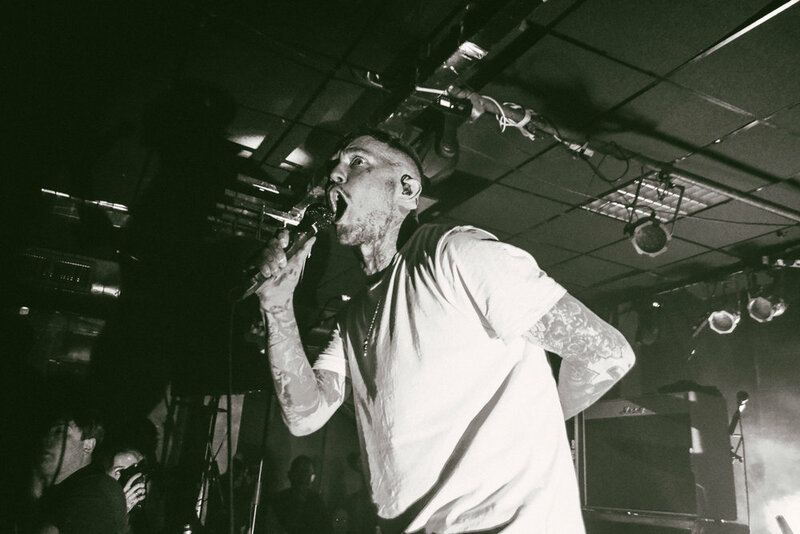 Frank Carter & The Rattlesnakes are officially back and they aren’t going away anytime soon!